This is a very special offer exclusively for Silver Travel Club members. Not only will our members enjoy a 15% discount on selected stays, but we are also able to offer two free nights at the most amazing places as part of the deal. The Spirit of Chile offers an exciting opportunity to explore this exciting destination. 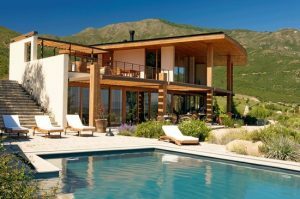 Stay at a combination of the Tierra Chile, Tierra Atacama or Tierra Patagonia for a minimum of nine nights and receive an exclusive 15% per person discount. 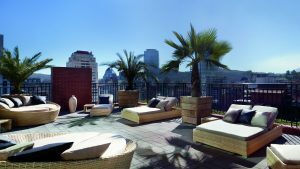 In addition enjoy one free night at the Ritz Carlton Santiago and one free night at the Lapostolle Residence. Luxury right in the heart of Santiago, nestled between sandy Pacific beaches and snow-capped Andes Mountains, The Ritz-Carlton Santiago redefines personal service. This sophisticated retreat in the heart of the upscale El Golf neighbourhood delivers unforgettable experiences – like soothing treatments in the luxury spa or exquisite dining in their distinctive restaurant. With extraordinary views of the Apalta vineyards and the surrounding mountains, Lapostolle Residence is the perfect place to enjoy nature with sophistication. With only four suites nestled into the native forested hillside of the valley, this exclusive residence provides serenity and privacy. Terms and Conditions apply. In partnership with The Luxury Travel Boutique.